Just a few days until the Art Deco Museum in Miami Beach opens its doors to the most important exhibition of the year! will be open from March 22 to March 26 2015. 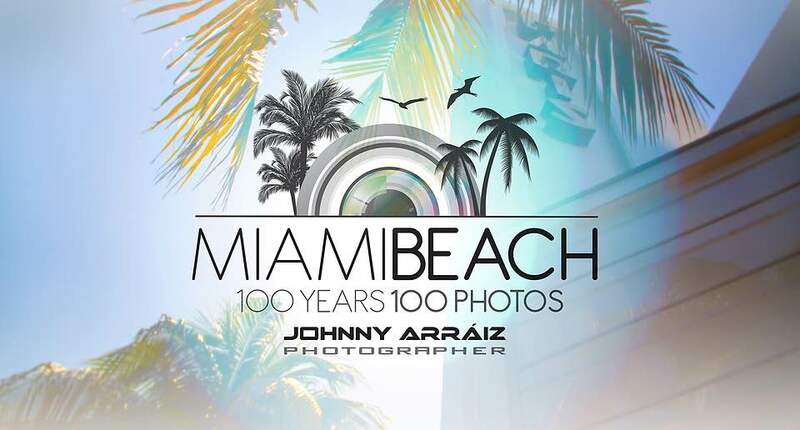 Under the centennial of Miami Beach as the official photographer; renowned photographer Johnny Arráiz, known for his outstanding work in the world of fashion and entertainment internationally, recognized by the Congress of the United States of America for giving their invaluable service to the community; creates the photo exhibition “Miami Beach, 100 Years, 100 Photos, by Johnny Arráiz”; 100 iconic photographs that represent the best in town. Joining as curator of his works, is the respected commercial photographer, graphic designer and producer Luis Antonio Velásquez; Known for his creative micro dedicated to photography; which airs daily in Venezuela. Recognized for his impeccable productions, his photographic works that travel the world; and who has been cordially invited by Johnny Arráiz, to have an exhibition space for some of his photographic works. It is in the Art Deco Museum in Miami Beach, located at 1001 Ocean Drive in Miami Beach Fl 33139; where extensive photo exhibition, 100 pieces, transmit the magic of tourists and locals of Miami Beach in its many facets as a city metropolis, fashion and cosmopolitan place; full of fun, glamor and modern architecture. Tags: Andrea Bocelli, Art Deco, Barry Gibb, Florida, Gloria Estefan, Greenwich Mean Time, Miami, Miami Beach, New York City, Photographer, San Francisco. Bookmark the permalink.